Liberals need to reclaim the way we talk about the Supreme Court. WASHINGTON—The genius of American conservatives over the last 30 years has been their understanding that the most effective way to change the country is to change the terms of our political debate. On issue after issue, they have done just that. Nowhere has the conservative intellectual offensive been more effective than in transforming our discussion of the judiciary, and that is why the coming clash over President Obama's next Supreme Court nominee is so important. Above all, it should become clear that the danger of judicial activism now comes from the right, not the left. It is conservatives, not liberals, who are using the courts to overturn the decisions made by democratically elected bodies in areas ranging from pay discrimination and school integration to antitrust laws and worker safety regulation. If anyone doubted that the Supreme Court's current conservative majority wants to impose its own view no matter what Congress or state legislatures decide—or what earlier precedents held—its decision in the Citizens United case should end all qualms. Justice John Paul Stevens, whose retirement will open up a seat on the court, offered one of the finest dissents of a distinguished career when he noted that to arrive at the result it did, the court majority not only violated precedent, but also had to reach beyond the case at hand to do so. 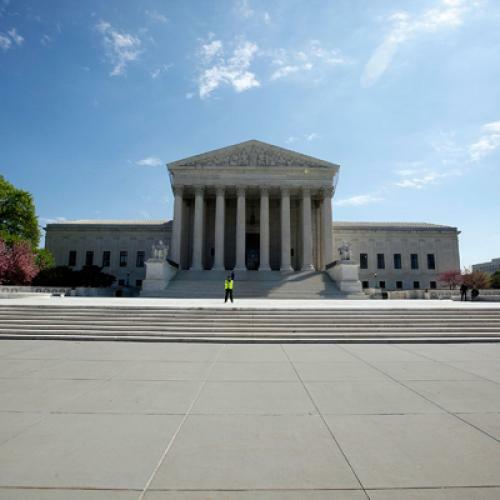 "Essentially, five Justices were unhappy with the limited nature of the case before us, so they changed the case to give themselves an opportunity to change the law," Stevens wrote. Now that is judicial activism. Stevens added: "In a democratic society, the longstanding consensus on the need to limit corporate campaign spending should outweigh the wooden application of judge-made rules." Citizens United is an extreme case of a general tendency: Conservative judges are regularly invoking their alleged fealty to the "original" intentions of the Founders as a battering ram against attempts to limit the power of large corporations. Such entities were not even in the imaginations of those who wrote the Constitution. To claim to know what the Founders would have made of Exxon Mobil or Goldman Sachs or PepsiCo is an exercise in arrogance. What liberals forgot during the years when their side dominated the judiciary is that for much of our history, the courts have played a conservative role. But today's conservatives have not forgotten this legacy. Their goal is to overturn the last 70 years of judicial understandings and bring us back to a time when courts voided minimum-wage laws and all manner of other economic regulations.